Car camping is a great way to travel to multiple locations without having to get lost in the woods or stay at a hotel. Most people will do car camping by finding a developed camping ground and then set up their tent next to their car. This makes it easier for them to move their camping supplies in and out of their vehicle without much hassle. 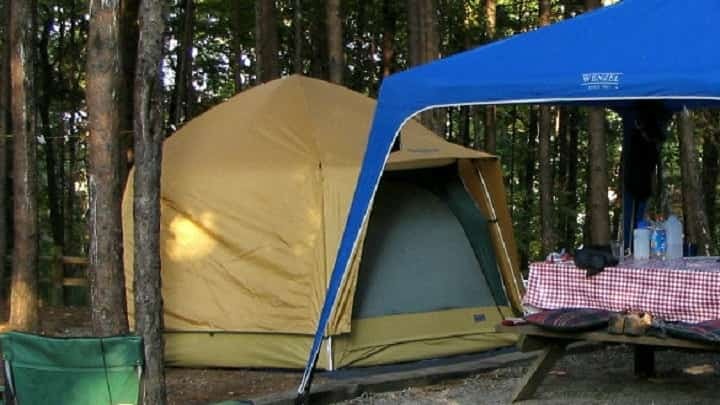 If you are new to camping and want to make the experience as interesting as possible for you and your family, then car camping is what you should start with. The idea of car camping might sound simple enough but people should learn a few things about it before trying it themselves. Below are the top 5 best tips that everyone should know before going out and car camping for the first time. Test Your Gear First – The last thing you’ll want to happen is to travel far away for a camping trip only to find out your camping gear is malfunctioning or not working in some way. That is why you should take a local trip with your gear first to make sure everything works properly and that you know what you’re doing in terms of setting up the gear. This is especially critical if this is your first time camping. If you have to, set up your tent outside your house to test it out. Start Camping Early – A lot of campgrounds get filled with people about an hour before sunset. If you want to ensure that you get a good camp spot, you’ll want to show up a few hours before sunset. Remember that campgrounds have no reservations and they are a first come, first serve operation. Pack Food–Even though you have a car that can bring you to nearby diners and restaurants, it is still more economical to pack your own food and outdoor cooking stove. After all, it wouldn’t be a true camping experience without cooking food outside. Just be sure to use matches or other kinds of fire starters for the campfire. Don’t use gasoline from your car to start the fire and don’t cook near your car either. Plan your Trip – The last thing you’ll want to do is aimlessly drive around while looking for a campground. You have the technology in front of you to locate all the campgrounds on your route ahead of time. Make sure you find out whether these campgrounds will accommodate car campers because not all campgrounds allow it. Four-Wheel Drive – There is a reason why thefour-wheel drive was invented. It is useful for driving on the kind of rough terrain that you might find on a campground or other desolate camping location. If you don’t already have a four-wheel drive car, consider renting one for the camping trip that you’re about to take. Car camping is a convenient way to get started as a camper. You don’t need to hike miles into the woods or fish for your dinner in the stream like traditional campers do. Instead, you can just drive from one campground to the next and see more exotic locations within a shorter amount of time. And if there is ever an emergency, you’ll always have your car available to drive to the nearest hospital or supply store and take care of your problem. This is what makes car camping totally safe and fun at the same time. Of course, you should have a medical kit packed along with your other supplies. This will help you treat minor problems like cuts and bruises.